Mon., Wed., Fri: 2:30-4 p.m.
Tue. & Thu. : 9-10:20 a.m.; 12:30-2:30 p.m.
John S. Knox was born in Richmond, VA, although he grew up mostly in the Pacific Northwest, in Oregon. He received two B.A. degrees in History and English from Oregon State University in Corvallis, OR (1991/2013); a M.A.T.S. in Christian History & Thought from George Fox University in Portland, OR (2002); and a Ph.D. in Theology & Religion (Sociology) from the University of Birmingham, UK (2009). He has taught Bible, Sociology, History, Philosophy, Ethics, Theology, English, First Year Seminar, and Racquetball for several universities on the East & West coasts since 2003 (residentially, hybrid, and online). 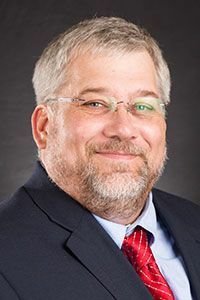 At Liberty University, he has taught Sociology courses for the College of General Studies and School of Behavioral Sciences since 2017, and Apologetics and Seminary Studies for the Rawlings School of Divinity since 2010. He has published six books to date, as well as numerous encyclopedia entries, book reviews, and academic journal articles in his various fields of study. Dr. Knox and his wife have two children.